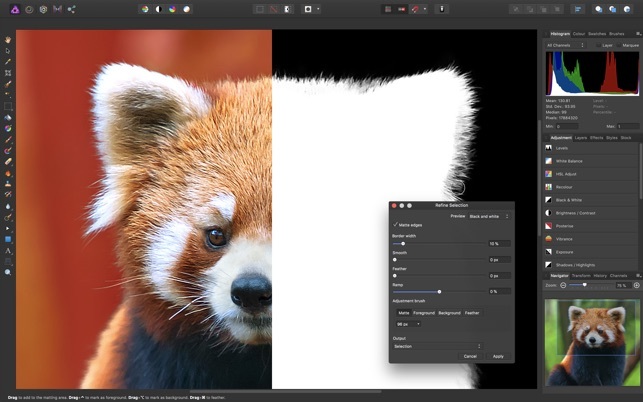 • Export @1x, @2x, @3x from layers, slices or whole documents – continuously as you work! - All new shadows / highlights algorithm for Develop. - Many improvements to batch processing. 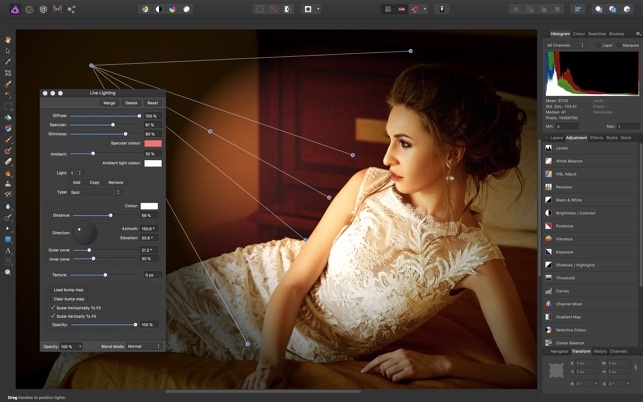 - Significant Photoshop plugin support improvements. - Fixed inability to export transparent PNG, TIFF, etc. - Fixed slow Lens Blur, Depth of Field blur issues. - Fixed Depth of Field blur progress / slowness issues. - Restored ability of marquee tools to snap. I had been hesistant to cut off Adobe from taking my money each month but. I am so glad I did, I dove into Affinity Photo and Designer head first and forced myself to take the time to learn their UI. I have to say I am glad I did... I was worried that these apps wouldn't live up to their Adobe competition but I was surprised to see that the developers at Serif have put more though into their UI/UX. Speaking as someone who has developed software, their hard work shows. Don't listen to anyone out there who says this application isn't as good as Photoshop or others. Give it a try and take the time to actually learn how things work and you wont be disappointed. I am finding personally that Affinity is speeding up my workflow and making things less complicated. I especially love that they let me use a caculator on colors right within the app, this is super helpful. Also full screen preview of filters is brilliant. I also picked up the apps for iPad Pro and they are almost 99% the same as the desktop give or take one or two things. It is surprising that a bigger company like Adobe is still lagging bringing their desktop experience to iPad. 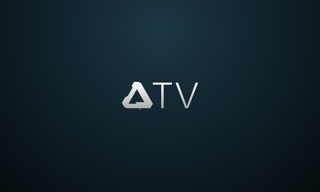 I am now a true Affinity believer! Thanks Serif! I'm an amateur hoping to improve my photo and print editing skills. Retired, my wife and I travel a lot, so most of my photos are travel-related, landscapes, buildings, shorelines, sunsets, etc. In the month or so that I have intensively used this app I find that it is logically structured and intuitive in how the UI works. It’s pretty stable; I have to do something really unnatural to crash it like inadvertently trying to print a 200mb file in a 5x7 format…sigh. It nicely supports my attempts at establishing a consistent workflow. I can easily experiment with alternatives. I struggled trying to understand LR and finally gave up with the new licensing. What I like: 1) the desktop is well organized, logical. Context-appropriate windows work well. 2) adjustment tools are intuitive, easy to apply and back off. 3) nice layer management. 4) fantastic built in help function. it’s an operator’s manual, very complete, virtually a course in itself. 5) The app seems to support almost any image storage organization I choose. Nice. I used to love Photoshop until they started forcing me to buy sofware in a suite (I only wanted Photoshop, not a bunch of other software that cluttered up my computer). And then they switched to a subscription model. I did the math and it would have been more expensive to get the subscription than a one-time license. AND the software had barely changed over the 10 years that I’ve used it. When I moved to a new computer and realized that Adobe had removed my ability to download my old Photoshop licenses from thier site, I tossed in the towel and decided not to be forced into a subscription model that scavenges my bank account every month (20 a month!). 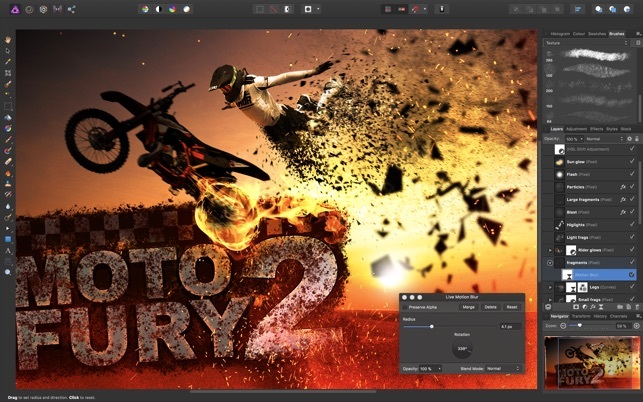 So, I started looking around and found Affinity Photo. The price was fantastic and best of all, no subscription! And I did the math… even if they did provide a subscription, it would be a heck of a lot cheaper than PhotoShop. 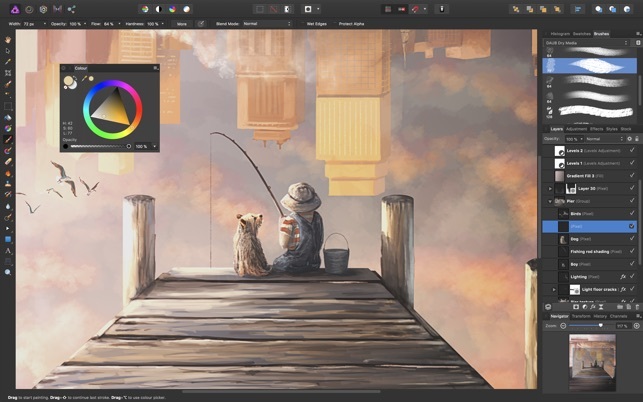 As for Affinity Photo itself, it feels so much like Photoshop and actually, I think it feels a bit more professional and less clunky. 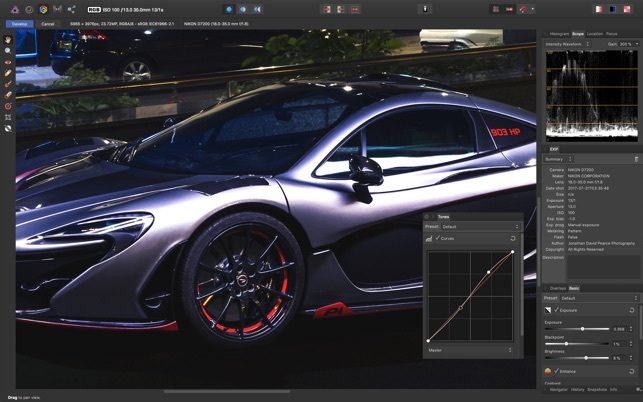 Thank you Affinity Photo folks for taking on the big boys who want to force us to ingest bloatware at a ridiculous price.